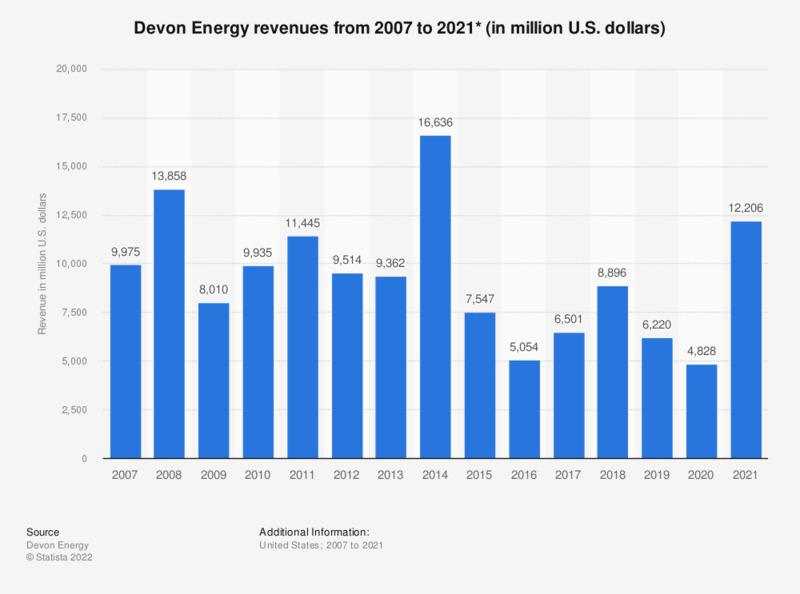 This statistic outlines Devon Energy's operating revenue from 2007 to 2018. Devon Energy Corporation is among the largest United States-based independent natural gas and oil producers. In 2018, the company had total revenues of 10.7 billion U.S. dollars. **Figures for 2014 to 2017 have been restated in the 2018 edition of the report due to change in accounting principle.